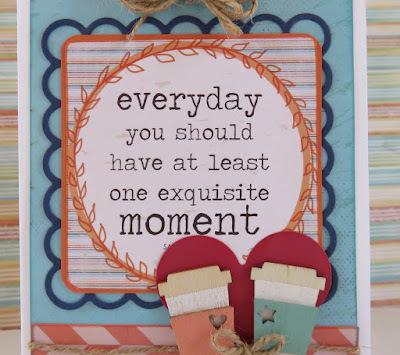 Blog Quick Quotes: Everyday Moments with June! Hello Quick Quotes fans! June here to host the blog today. Continuing the fun with the Coffee Loving Card Makers Blog Hop, today I have a coffee-inspired card using Quick Quotes' new Spring Showers and Navigator collections. 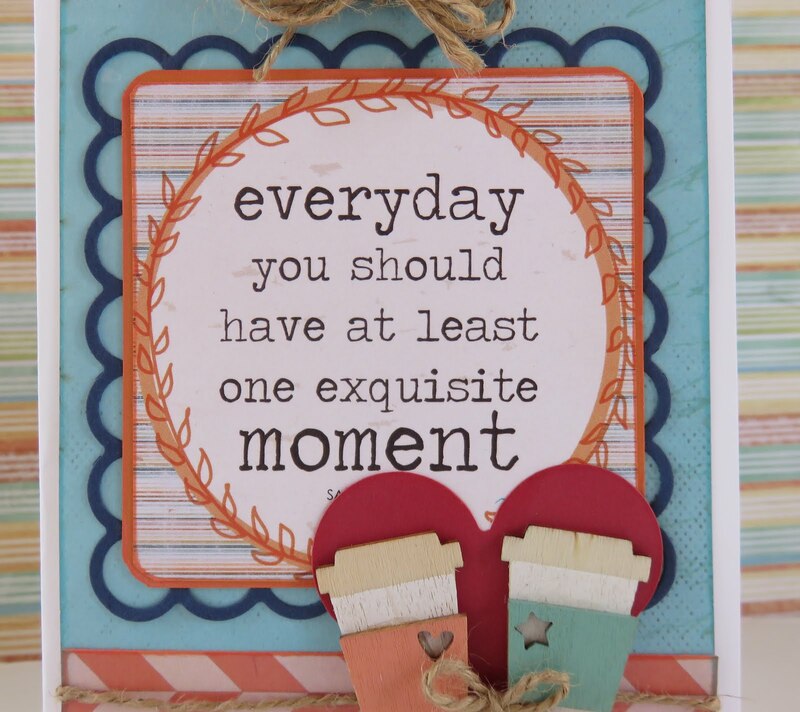 I love how well these different Quick Quotes' collections mix and match. 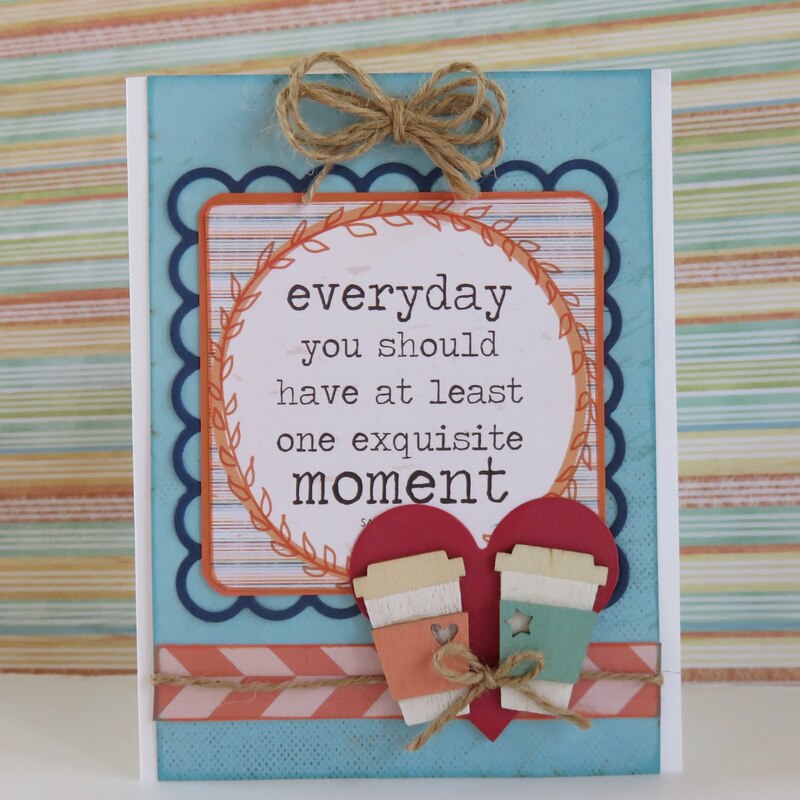 The quote on the card is from the Farmhouse collection. It is great how many of the Quick Quotes sayings work well for a wide variety of situations. The papers were edged with Island Orange and Bermuda PowderPuff Chalking Inks. I love the little punches in the coffee sleeves. Very cute!